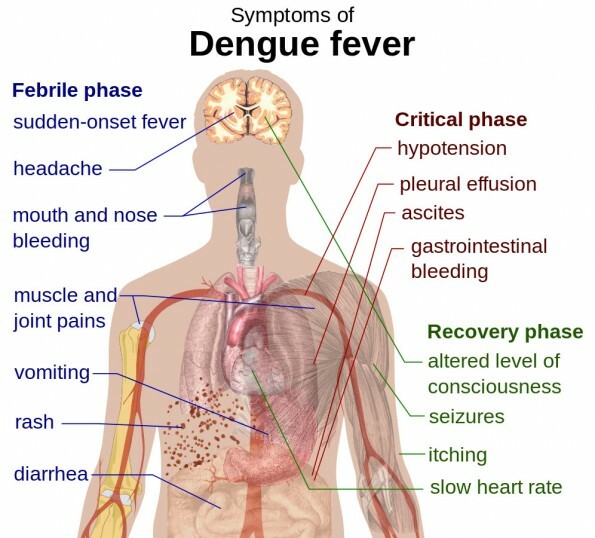 As of 1 p.m. today (Jan 26) the Department of Health reported no new confirmed cases of Dengue Fever. 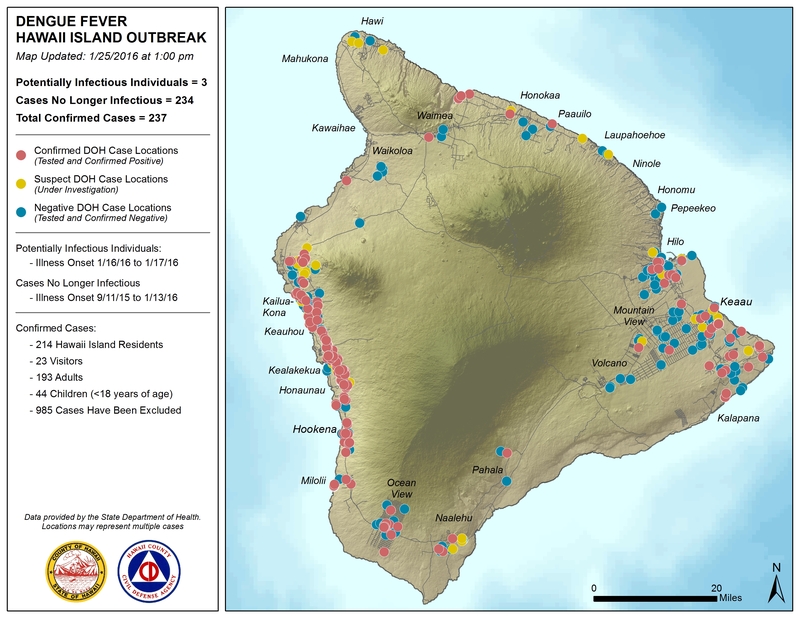 The total number of confirmed cases remains at 237. These cases include 214 residents and 23 visitors. Currently there are three potentially infectious individuals. 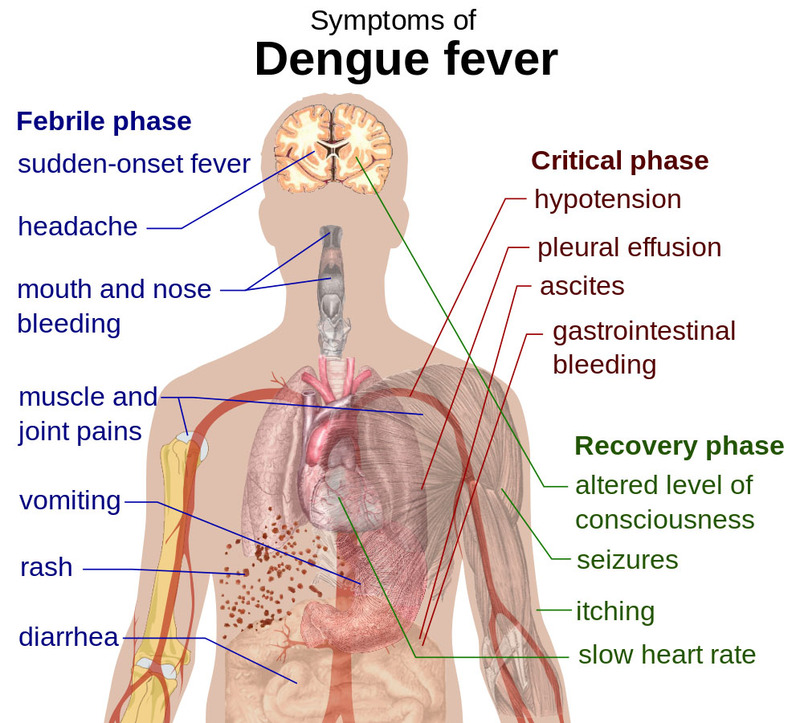 As of January 26, 2016: Since the last update, HDOH has identified 0 new cases of dengue fever. 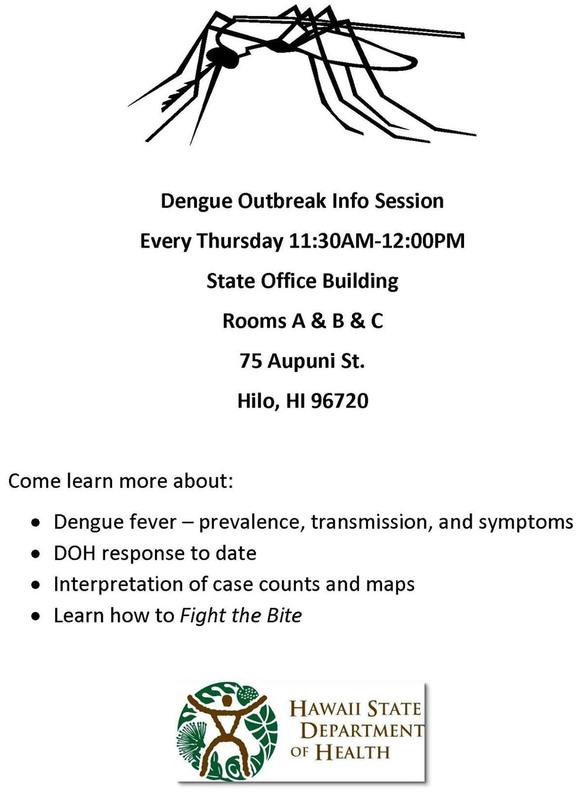 Currently, as many as 3 of the confirmed cases to date are potentially infectious to mosquitoes. All others are no longer infectious. Of the confirmed cases, 214 are Hawaii Island residents and 23 are visitors. 193 cases have been adults; 44 have been children (less than 18 years of age). Onset of illness has ranged between 9/11/15 – 1/17/16.